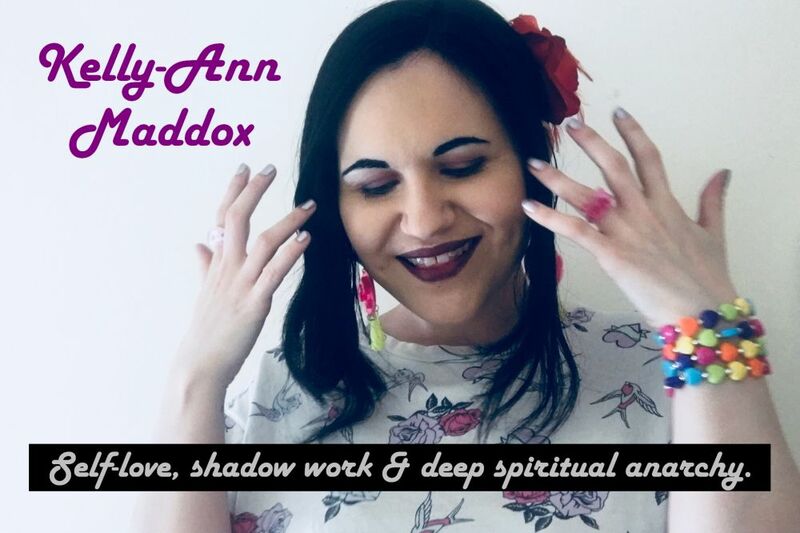 Kelly-Ann Maddox: how do you make money as a tarot reader? My fellow creatrix and constant inspiration, Joanna DeVoe, was recently interviewed by sociallyholistic.com. You can check out the podcast here. As I listened to the interview the other day, one comment in particular seemed to speak directly to me: 'Don't be afraid to be polarising'. I'm a pretty forthright woman with no shortage of perspectives to share with the world and I didn't think, at my ripe old age, that I'd need to heed this advice. But the truth is that there's one perspective I've been holding back on for a while now, occasionally considering writing about it but then brushing it back under the rug. I was convinced that if I published a blog post on this subject, some peeps out there could take it the wrong way or otherwise fail to appreciate it. But in the end, you need to grasp the moment and speak your piece sometimes, knowing that some people will find it sweet and others will find it sour. So, here I go.. Giving business advice was never a part of my overall plan. I am a qualified counsellor and I take my work very seriously. That's where I've dropped anchor and that's what I hope to be blessed enough to continue to offer to the world. Although I very much enjoy maintaining a dialogue with fellow business owners of the spiritual persuasion, it's always geared more towards encouragement and support rather than as a platform to impart my knowledge or offer how-to guides. However, a question continues to arrive in my Youtube and email inboxes over the past few few months and it obviously begs an answer. People have been sending me messages to ask me how to get clients and earn money giving Tarot readings. One particular message was entitled, 'Getting clients and gaining'. I would like to address these kinds of questions in this post so that I can direct people to my reply in the future and also to help anyone else who might be wondering what my response would be. First thing's first. It is my sincere belief that making a mental association between Tarot and money is unwise when you're first starting out. That's not because it's impossible to make money as a Tarot reader but because it's not a fitting primary motivation. Your motivation is visible to people, whether you say it in plain words or not. People are incredibly perceptive and they pick up on your underlying reasons for opening a shop and touting for business. 'How do I get clients and gain money?' just isn't as wholesome and nourishing a perspective as something like, 'How do I reach more people with my guiding messages and enable my voice to shine through to those who need it?' Do you see my point? Money actually comes along for those who ask that second type of question anyway, because it is a question which is asked from a place of abundance, not a place of lack. It's saying, 'I have so much to give' rather than, 'I need people to give to me.' It's really about examining your core motivation and leading with that. Here's some background on my personal journey with Tarot as a paid occupation. I had been reading the cards for years and offering free readings to friends and family on a long-term basis. I was consistently told that my readings were helpful and I was asked to get my deck out and start shuffling if someone in my life needed to get clear on their direction. In 2011 I went through a phase of purchasing lots of new books on Tarot and trying to deepen my understanding of the cards, as well as linking Tarot to the psychology and self-development texts I was reading. A friend suggested I start a Tarot blog as an outlet for my passion. It all began there. I started checking out other people's Tarot blogs and establishing a dialogue. I joined Aeclectic Tarot in an effort to 'find my tribe' and indulge in daily Tarot inspiration. I became a part of the community and that's when I realised that reading Tarot in person was actually limiting me to offering guidance to only a select few people; there were so many people on the internet in need of a reading and I could bring my energy to that demand. The first thing I did was use the Reading Exchange forum on Aeclectic Tarot to offer free readings for feedback. I wanted to get a sense of my abilities as a distance reader, ensuring that I was actually capable of transferring my knowledge in written form without the querant in front of me. After receiving the necessary validation, I started a Facebook page to offer free readings to anyone in need of advice and comfort. I read for people who were confused, lost, heartbroken or having difficulty working out how to move forward with their lives. I did not request feedback for these readings - I did them because I wanted to be of service. I know it sounds like I'm tooting my own horn here, but stick with me - the business advice is coming, I promise! At the six month mark, the requests began to get overwhelming. I was working overtime at my place of employment and doing lots of free readings for people from all over the world in the evenings. I'd come home from work, open up my laptop and start shuffling. It was becoming slowly untenable. It then became clear that time and money had an undeniable relationship. If enough people want your time, it makes sense to charge money for it because that means that you can spend less time making that money elsewhere and therefore be more available to the people that need your help. It made sense. And that's why my Etsy shop was born. I kept the prices polite and offered a good description of what a client would receive in the energy exchange. But I still wanted to give back. I still wanted to teach people the value of self-love, show them how to follow their intuition and teach them how to use the tool of Tarot for themselves. I wanted to do this with or without the sale, and that's part of the reason that my Youtube channel came into existence. It was my way of offering, opening my heart and connecting with everyone, regardless of the presence of monetary exchange. I truly believe that the people who work with me as clients have an intuitive ability to see that I am giving of myself because I want to effect positive change in people's lives. They also understand that in order to do that to the best of my ability, it is wholly necessary to charge for private one-on-one guidance. The content that I place on the channel, on this blog and on Facebook will always be entirely free and is intended to help as many people as possible. Nothing is held back for paying clients only; I offer everything I know, and there is much more of that to come! I have only just scratched the surface - there are hundreds of videos in the pipeline. The only difference between being my Youtube subscriber and being my paid client is that the guidance I offer to my paid clients is tailored to their specific needs. Tailoring guidance and being someone's ally in their personal journey takes time, energy and expertise. The more time I spend in an office making money, the less I can offer that to people. Money, therein, facilitates time. It is actually an act of great compassion to charge money for your services because it means that you actually have time to give them. The best thing to do is seriously consider what you tend to look for in a Tarot reader. I look for someone with an obvious wealth of emotional intelligence, someone who seems approachable, someone with compassion and someone with a back catalogue of blog posts or videos I can check out to get a sense of what their specialities are and how they deliver their advice. Is this you? How can you show people your passions and demonstrate your desire to be a part of their journey? Because the truth is, when I started out on my online Tarot journey, money was the last thing on my mind, and I think that actually made all the difference. It has enabled people to invest their trust in me. They know that I am there to help them whether they pay me or not, through my online content. On top of that, my online content is a great way for potential clients to work out if I'm offering the kind of advice they resonate with before they make a purchase. Anyone can buy a deck of cards. Who is the person behind the cards? That's what people want to know and that's what I want to know before I click 'Add to Cart'. It's the reader that seals the deal in business, not the deck. Be present and show people what you've got! You don't need to make videos like I do, but if you can spin the yarn enough to give a Tarot reading, I know you've got it in you to blog regularly, so go forth and get typing! It's also wise to ask yourself if you're actually integrating with the community. 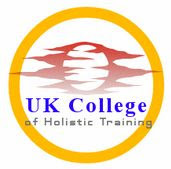 Are you coming into this line of work with a view to exchanging information, encouraging other people and expanding your knowledge? Are you networking, not because you've read on a marketing website that it's good for business, but because you want to? The Tarot community is bustling! It's highly supportive and full of different perspectives and passionate viewpoints. It's the kind of community which is close-knit whilst always having room for one more. Many of the people who buy readings are the people who are passionate about Tarot themselves. We know a lot of the same people, we check out each other's videos and we are largely curious about each other's progress. We promote each other. I regularly make a point of sharing other readers' Facebook pages on mine, letting my followers know about giveaways that are going on or raving about a great video or blog post. Get involved! You won't regret it. There is so much free online content available about marketing, branding and running your online business. And guess what? I've read a lot of it. You should totally do that too - it is super helpful and it will enable you to carve out an appropriate direction for your business and inspire you to express your character traits and ideals in your content and design aesthetic. You are your brand. Don't forget, everyone's journey is different. You will need to consistently check in with yourself and ask yourself, 'Does this feel authentic to me?' Marketing advice is there as a guideline and should not be followed blindly. I don't own a Twitter account, even though every article I've read about social media suggests it. Why? Because I don't enjoy the platform. *shrug* It doesn't feel authentic for me. I don't express myself well in only 140 characters and if you've read this far down, you know exactly how true that is! And, when it comes to taking inspiration from others in your industry, make sure you understand the distinct difference between taking inspiration and copying. I'm not saying this to be a B-I-T-C-H but out of love and compassion for your individuality. It's very easy to start emulating the people you admire to the point where you're speaking like them, writing like them and venerating their ideas instead of nurturing your own. You owe it to yourself to avoid that. You deserve more than that. The world needs a first rate you, not a second rate someone else, right? If you're struggling to find your voice - take a step back, stop comparing yourself to others, maintain some distance and really turn inwards to ask yourself what you are all about and what you intend to bring to the table. I don't suggest that you do this in order to aggressively compete with the readers who are already out there, but so that you compliment them and inspire them as they've inspired you. That's all. I hope that it was helpful. There is a place for you in this community. There are opportunities for you to collaborate, to develop a client base and to have lots of fun with it along the way. Don't think lack, think abundance.